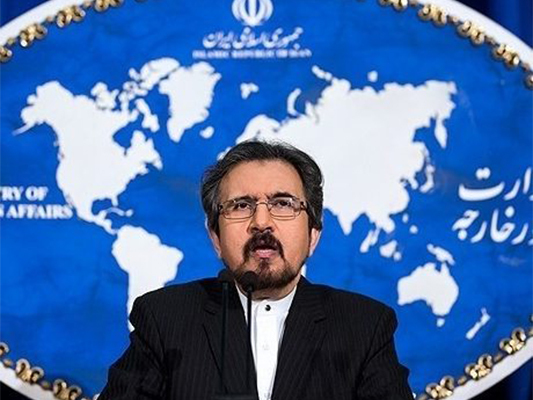 Iranian Foreign Ministry Spokesman Bahram Qassemi has condemned the US secretary of state for his meddlesome remarks made about the measures adopted towards the internal affairs of Venezuela. “The Islamic Republic of Iran stands by the nation and legitimate government of Venezuela against the US’ illegal meddling,” he said in a statement on Saturday. The spokesman said Iran maintains that dialogue among domestic political sides in Venezuela within the legal framework of the country is the only solution to its domestic problems. “Any foreign interference in the internal affairs of Venezuela is non-constructive and will only make the situation more complicated,” he said. Last week, US Secretary of State Mike Pompeo called the Venezuelan government of President Nicolas Maduro ‘illegitimate’ and said the United States would use diplomatic efforts to try to restore democracy in the economically battered nation. Pompeo made the remarks two days after Maduro began another six years in power. “The fact that Maduro decided to hold an inauguration after a sham election doesn’t change America’s direction and intent,” he said. “This crisis will create an enormous burden on the region and, more than that, the suffering that will take place inside of Venezuela if we don’t restore democracy,” he said.